Grey Corrie Lodge Bunkhouse, Fort William, Szkocja : Rezerwuj teraz! Grey Corrie Lodge Bunkhouse is an ideal base for the many outdoor activities available in Lochaber, Outdoor Capital of the UK - canoeing, hill walking, mountain biking, fishing etc - and for studying the fascinating local geology & history. 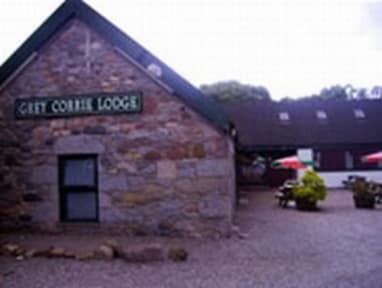 The Grey Corrie Lodge bunkhouse provides budget accommodation in a rural village setting. The Grey Corrie Lodge provides bunkhouse style accommodation for up to 28 people. Facilities include a self-catering kitchen & common room with wood burning stove, communal showers/toilets, drying room & washing machine. Bedding is provided. All beds are bunk beds. 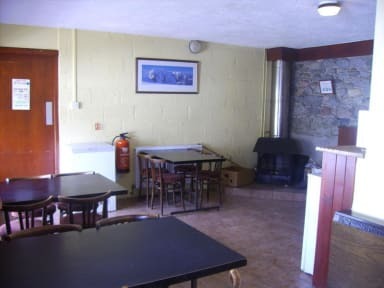 Bar meals are served daily in the adjacent Roy Bridge Hotel and in the nearby Stronlossit Inn. There is ample car parking on site. The bunkhouse/hostel offers cheap basic accommodation for those who love the outdoors and want somewhere to sleep, shower & eat with a roof over their head without the cost and frills of a hotel. Communal facilities are used by all guests throughout the day and guests need to tidy up after themselves leaving the facilities ready for other users.